Tilbury Manor implements SARA’s eMessenger to improve staff efficiency and response while providing residents with better care and confidence. Before implementing SARA’s eMessenger, Tilbury Manor relied on their Situational Awareness and Response Assistant (SARA) that was integrated with their existing phone system. These phones were carried by staff members to receive alerts, unfortunately calls were often missed due to deficiencies with their phone system. Frequently, when a staff member was assisting a resident she would receive an alert phone call and press one to acknowledge it. However, after finishing assisting the initial resident she would have to remember who had called and the corresponding room number. Because the staff members only received the alert once, many of them scribbled notes on their arms to ensure they didn’t forget to respond to the help call. In addition to not being able to review any information related to the alerts, the phones were constantly ringing creating a noisy and stressful environment for both residents and staff. 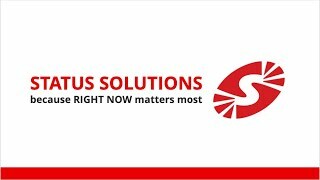 Because Tilbury Manor had an existing relationship with Status Solutions they sought our help in improving their alerting process. After identifying the breakdowns in the process we recommended SARA’s eMessenger mobile dashboards. This application allows users to receive alerts via mobile dashboard on iPhones and thereby quickly respond to unfolding situations. Users are also able to initiate, respond and acknowledge alerts, and escalate/notify others as necessary all from the same easy to use interface. “Right away I could see how it would impact greatly….our home and how a lot of the concerns that were being brought up because of the [previous phone] system could be eliminated through SARA’s eMessenger application.” said Sara Le, Director of Care at Tilbury Manor. With the implementation of the SARA’s eMessenger app, Tilbury Manor immediately saw response times improve and in weeks they were nearly cut in half. With SARA’s eMessenger mobile it is no longer necessary for staff to write on his/her arm to remember the calls received and patient visit list. All the necessary information is now available on SARA’s eMessenger app in an easy to read format. Residents are ecstatic with the quicker help response times and both residents and staff are enjoying and appreciating the quieter more tranquil atmosphere now that phones are not constantly ringing. SARA’s eMessenger provides Tilbury Manor with a wealth data that the previous phone system did not. They now have the ability to view simultaneous alerts and differentiate bed or chair alarms from pull cords alarms. Supervisors can also see who accepted a call and when the call was cleared. “For us it has made a huge difference in the call bell response, and they can see where they have to go next” says Sara Le the Director of Care. While the improved response times have been important in and of themselves, another benefit has been that falls per month have decreased by more than half. With SARA’s eMessenger real-time alerts and their new hourly rounding protocol, staff members can often prevent falls before they happen. These changes have translated into a safer and more secure environment that gives residents a greater sense of security and independence.